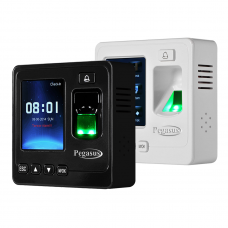 Biometric time and attendance technology brings efficiency to the workplace by keeping better tabs on the employees in a given workforce. Punch cards can be handed to friends so that truant workers can make away with stolen paid company time and employees who make a living from the road or at home need ways to prove that they’ve earned their paychecks. With biometric time and attendance solutions employers cut down on time fraud and dutiful employees have hard evidence they deserve all that over time they’ve been putting in. All of that’s not to mention the increased efficiency on an administrator’s end; with automated and accurate attendance records admins can focus on more pressing matters. Pegasus FFC-112 is part of a new generation of tim.. 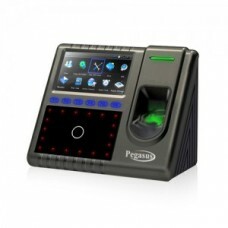 The SF100 is an IP based fingerprint terminal work..